What can I say, 2012 was full of excitement for Gluten Free Edmonton. There were lots of events attended, lots of great nights out at gluten free friendly restaurants in Edmonton, lots of great gluten free shopping and lots of gluten free recipes to be shared. Personally there was great triumphs and great tragedy. It certainly was not a boring year. Panago Adds Gluten Free Crust - This post has continued to be in the top posts section since it was posted. The Best Gluten Free, Soy Free, Dairy Free Muffins - Lovely recipe Amanda found that uses carrots and zucchini. Jamie Oliver's Rustic Smashed Potato - We have made this recipe again and again, so no wonder it is a top find! I am sure people have it book marked to go back for more. 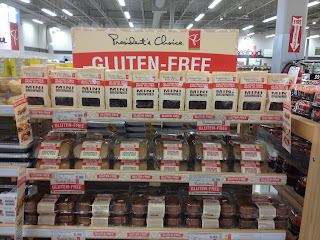 Shop Kinnikinnick for Gluten Free - When Kinnikinnick launched its new fresh bakery section, we decided they needed another write up, because this was huge news. Obviously, everyone proved it really was by making it one of the top posts. It's the 2012 Pancake Breakfast Season in Edmonton - Edmonton loves it's pancake breakfasts. We had to write this when Kinnikinnick decided to participate in several pancake breakfasts across Edmonton to offer gluten free pancakes to those with Celiac Disease. My top moment would be making it on Food Network's You Gotta Eat Here! I was in the episode where they visited Tres Carneles! * These were ranked based on pageviews by Google Analytics. Who was the talk of the town on Facebook? Without a question, when I posted on Facebook that Presidents Choice launched a gluten free line of baked goods, you responded! There was over 100 likes to that Facebook Post, over 15 comments, over 20 shares, and 1430 people saw the post. What happened with the fight in advocating for those with Celiac in 2012? 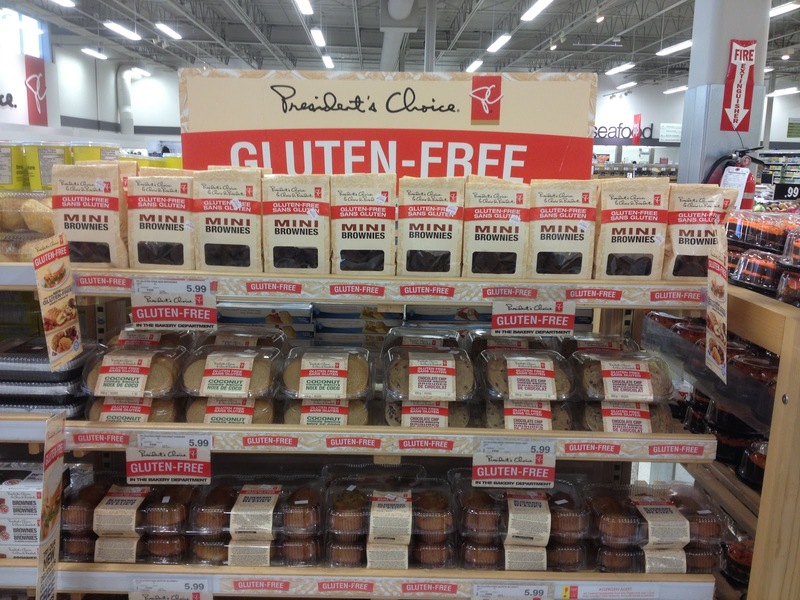 Well, there was great news that came out of the Canadian Celiac Association as they worked with Health Canada on new gluten free labelling regulations. These regulations started in August 2012 and were developed to make shopping easier with much clearer labeling. Finally personally, Amanda and I celebrated the birth of our first child. It was such a joyous experience for the both of us. Our daughter is nearly 6 months old now and we are enjoying her watching her grow with family and friends. Amanda, myself and my entire family also went through tragedy this year as I lost my brother unexpectantly to a heart attack. So what is in the plans for 2013? It is hard to predict the future, but Amanda and I will continue to be active on the Board of Directors for the Edmonton Chapter of the Celiac Association and help drive awareness of Celiac Disease as well as resources here in Edmonton through their programs and our blog. We will have our first family vacation in March that we will most certainly be blogging about. We look forward to your continued support by sending in your guest blog posts, ideas and suggestions. They really help us out. We had quite a few in 2012, and look to have many more! All the best to all of you in 2013! 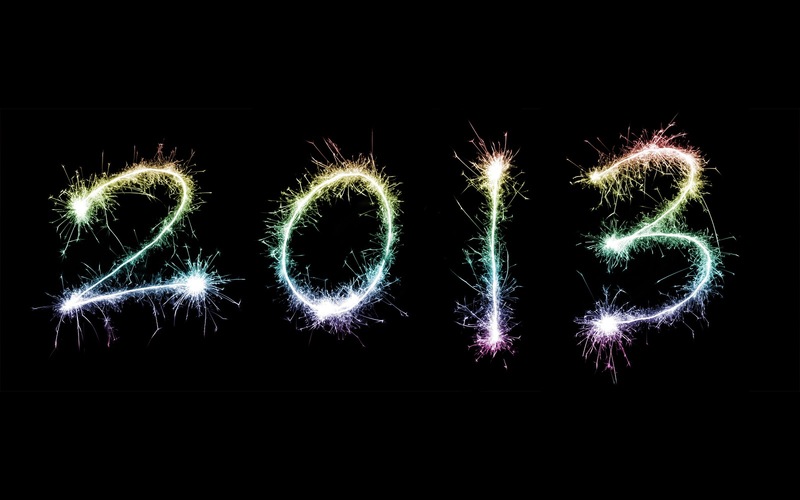 What were some of your highlights in 2012? And what are you looking forward to in 2013? Happy New Year! Thank you for the great information you and Amanda provided over the past year and your dedication to supporting awareness and quick access to gluten free resources! I look forward to hearing from you in the year to come!